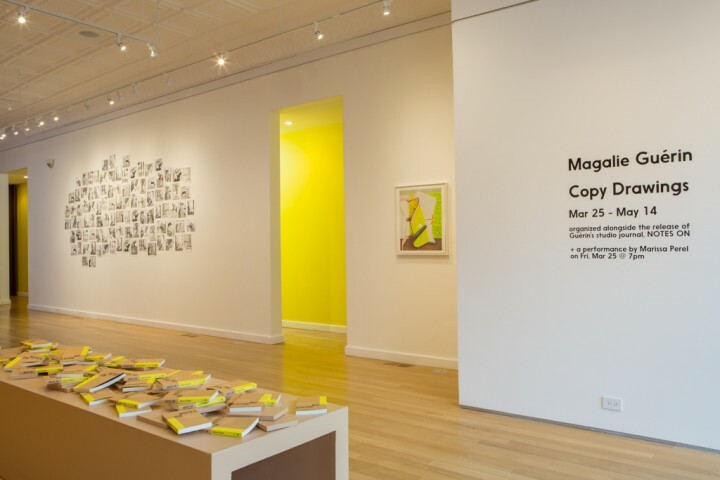 Working with Magalie Guérin as an editor on her a-chronological studio journal, we released the book in her solo exhibition, Copy Drawings, at Sector 2337. 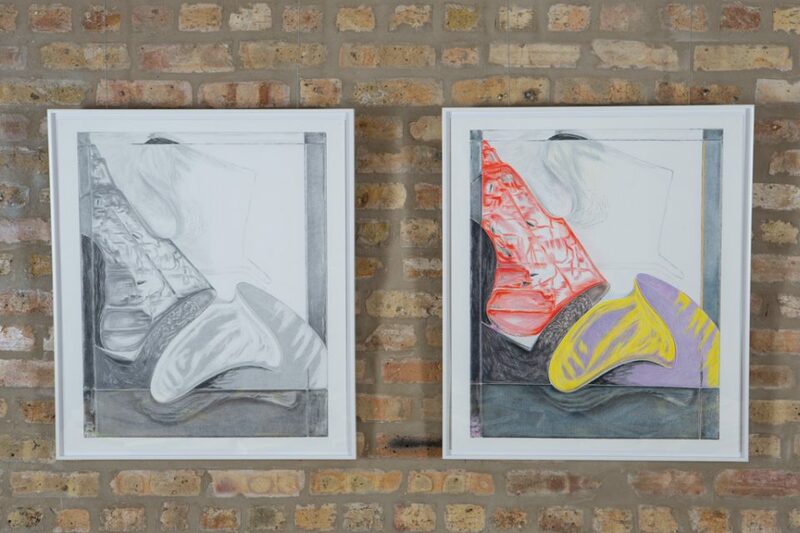 About the show: March 25, 2016 – May 15, 2016 / Sector 2337, Chicago. 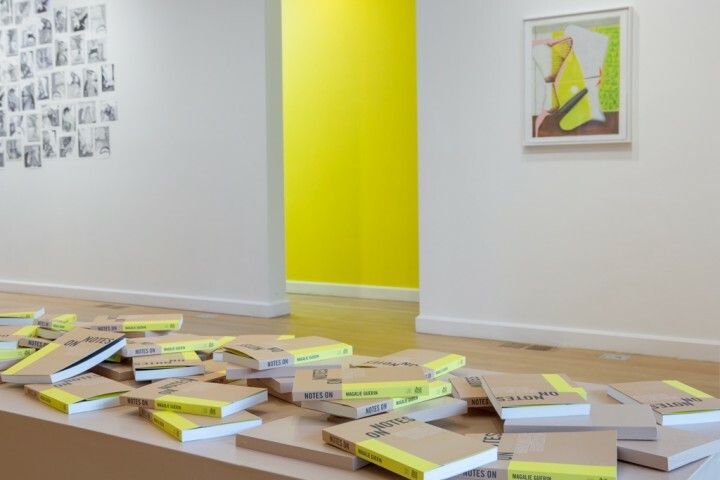 Copy Drawings was organized in conjunction with the publication of Guérin’s first book, NOTES ON (The Green Lantern Press, 2016). 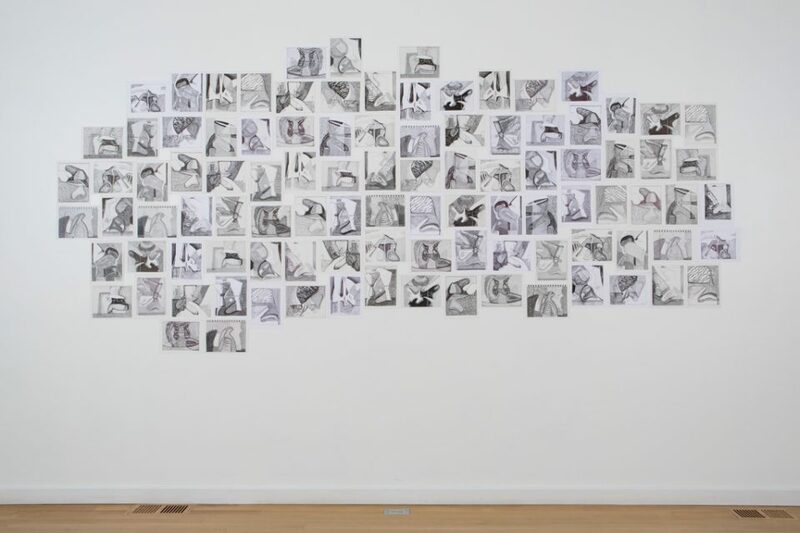 With 100+ drawn reproductions of the artist’s prior works, Copy Drawings, examines the process by which one reconsiders and recreates the past, posing questions about what is and is not original. 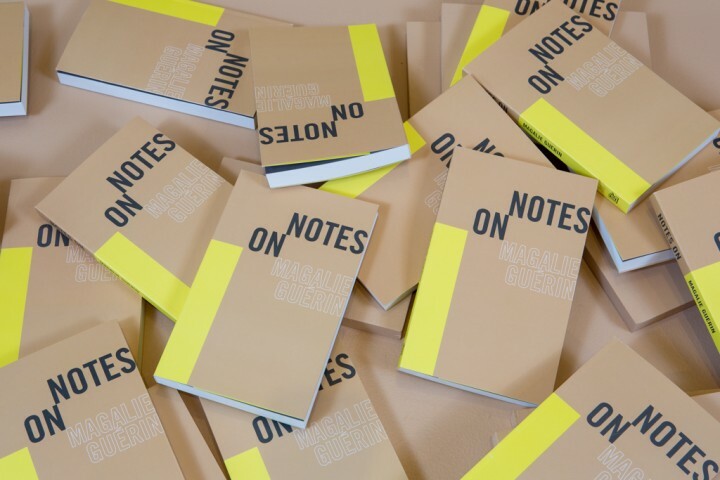 For the opening and book launch of Guérin’s NOTES ON, NY-based performance artist, Marissa Perel, will perform, “Oh toi, ma persécutée! !” my mother used to say to me. The title of the piece, taken directly from NOTES ON, points to the painful suspension of disbelief an artist experiences when facing “the blank surface—the emptiness” that it “can/will actually become something” (Guérin 19). Reading various excerpts of Guérin’s book, Perel will insert her own commentary into the margins, while sampling music and other media referenced in the book (as in, if you like Patti Smith, you should definitely come to see this). 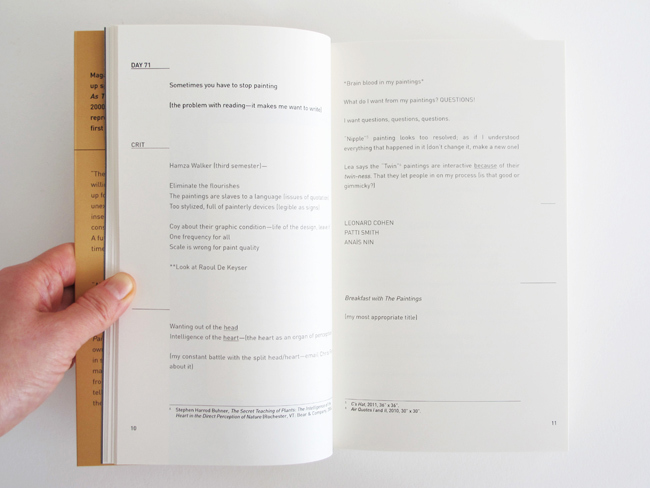 About the book: NOTES ON is an a-chronological studio diary that artist Magalie Guérin’s re-transcribed twice by hand and now in print. Through that active facsimile Guérin documents her painting process, mapping at once her creative history and the way that history consistently transforms. Personal, professional, and creative spheres intersect like simultaneous layers in a painting as accumulated entries capture the shifting gray area between self-doubt, self-awareness, and creative breakthrough. A recurring and parallel “character” in this journal is a hat shape—an abstract form that Guérin paints over and over again. Whether anatomical or abstract, the hat shape becomes an anthropomorphic companion as witness/lover/nemesis to Guérin’s artistic endeavors. Guérin shows us not only that a room of one‘s own is useful, but what can happen when it is utilized.